Great starter home with 3 bedrooms and 1 bathroom. Open concept kitchen and living area with den featuring a wood burning fireplace. Lots of cabinet space in the kitchen along with a dishwasher, electric range and refrigerator included. New linoleum in the kitchen as well. Carpet throughout with original wood floors visible in the closet. Washer and dryer convey. Central heat and air with new energy efficient windows and new sliding glass door. Vinyl siding on the exterior. 2,990 ACRES OF WEST TEXAS FINEST!! 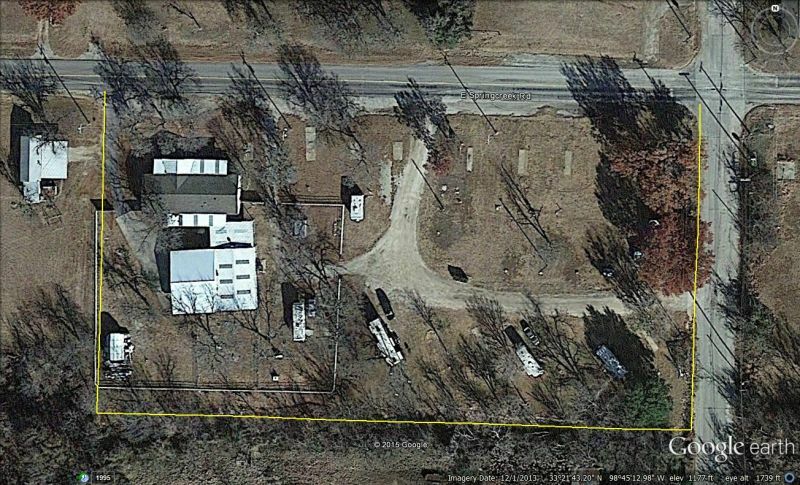 Location: This ranch is located just 13 miles west of Snyder on the west side of FM 1269. It is approximately 240 miles from DFW, 87 miles from Abilene, 85 miles from Lubbock and 90 miles from Midland. The game on this ranch makes those distances worth the drive!! Terrain & Vegetation: The "Big Country" views from most any place on this ranch are dramatic. The rolling hills with deep sandy clay soil make this ranch ... morethe perfect place to hunt, run cattle or both. This is truly a multi-use facility. Mesquite, Hackberry and various native vegetation provide ample cover for all game! Utilities: Electric is provided by Big Country Electric & co-op water is provided by Fluvanna Water. The ranch also has 3 water wells. Water is a huge consideration for everyone going forward, especially in west texas. This ranch has taken that worry out of the equation. Between the wet tanks, co-op water lines crossing the ranch, multiple wildlife watering stations, plus the water wells, this ranch is well equipped to handle the concern over water! Ranch: This ranch is set up as a working cattle ranch. The owner has a large set of working pens in a central location which is easily accessed by each of the many pastures outlined by cross fencing. Co-op water is available at the pens. The ranch has 6 earthen tanks, including a 46 acre small lake fed by numerous draws that cross the property. All perimeter and cross fencing is in good shape. One thing that each visitor will notice about this ranch is how "clean" the land is. You will not find old legacy oil field equipment and there is no current production. The ranch does not have old falling down buildings that need to be cleaned up. This ranch has been very well maintained and is ready for a new owner. The road system to get around the ranch is terrific. There are very few places on this ranch that your pickup truck will not take you! The ranch has 4 gates for easy access from the north and east perimeters. Wildlife: Whitetail deer, turkey, dove, quail (lots of quail), hogs and many different types of varmints will keep your hunting skills sharp! You will see game on each visit to this ranch! Hunting Camp: This ranch is set up for hunting! At the small lake, you will find the hunting camp. This consists of a travel trailer, a hunting cabin with sets of bunk beds, couch, TV, etc. Also, there is a separate cooking/dining facility to cook and feed your hungry hunters after a day in the field. All of this is staged in a "camp" like setting, with a seating area between the living and dining areas! Minerals: Some minerals may be available with an acceptable offer! 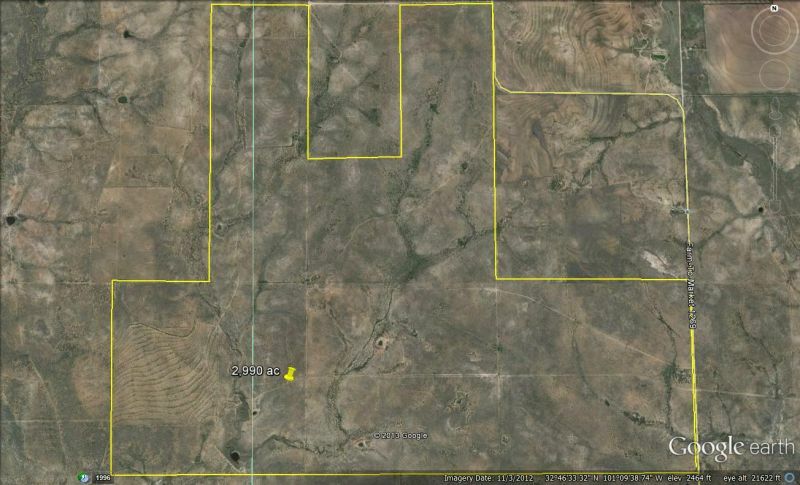 Asking Price: $975/acre Video: We have access to a 10 minute video of this ranch. Please ask and we will gladly send it to you!